The sun is shining and birds are chirping, and my indoor decor is changing to lighter colors and textures. 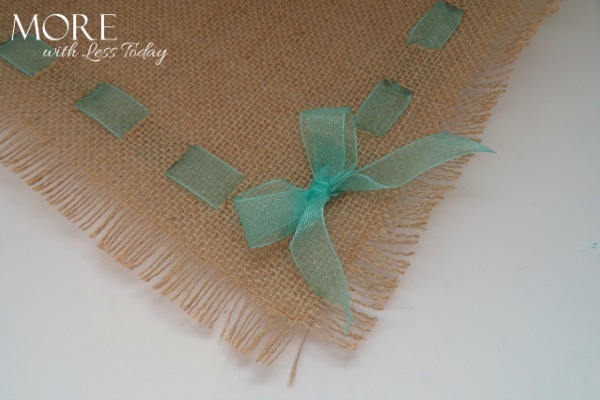 This week I began working on ideas for table decor for spring and one of my favorites is a Burlap Placemat for Spring. It’s quite easy to make and inexpensive! Begin by rolling out the burlap and cutting it to size. 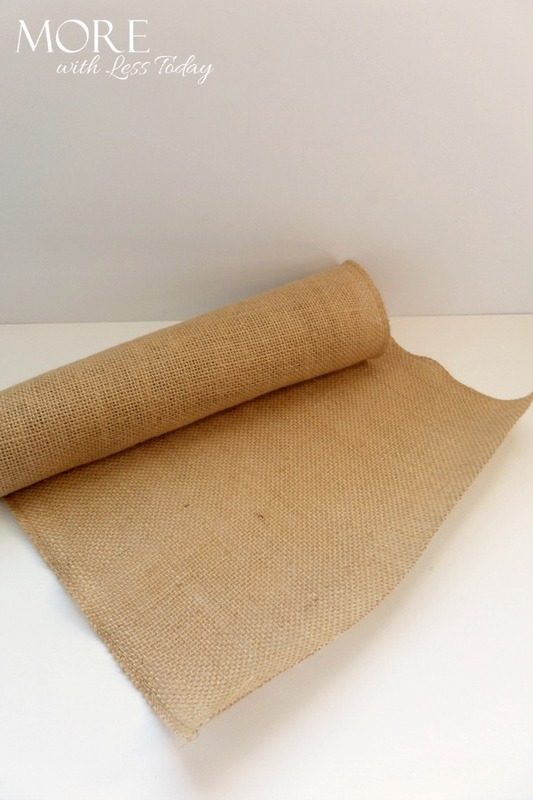 I like the roll of burlap vs by the yard because it is already cut to the right width. 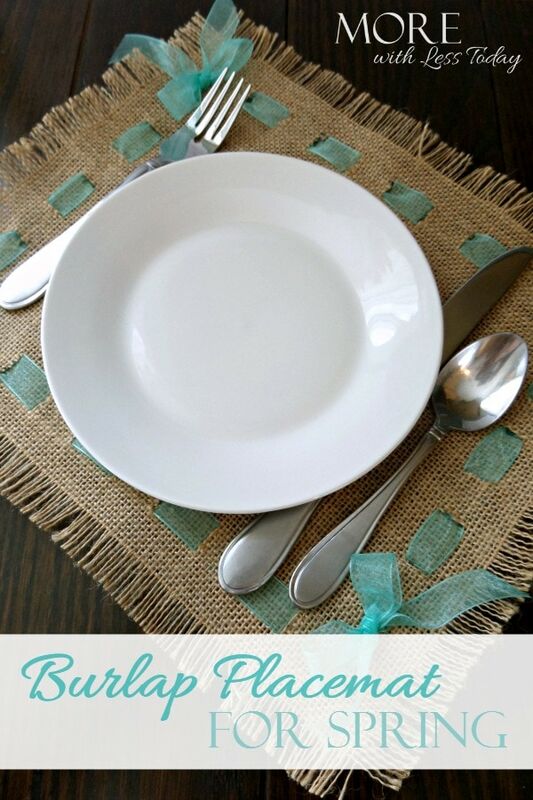 Determine how large you want your placemats and cut the burlap into rectangles. Next you will sew around the edge of your burlap. 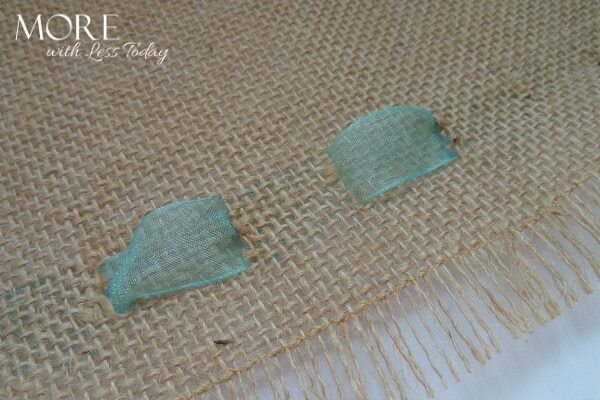 This will allow you to fray the edges but will create a clean stopping point. I came in about 1″ from the edge on all sides. 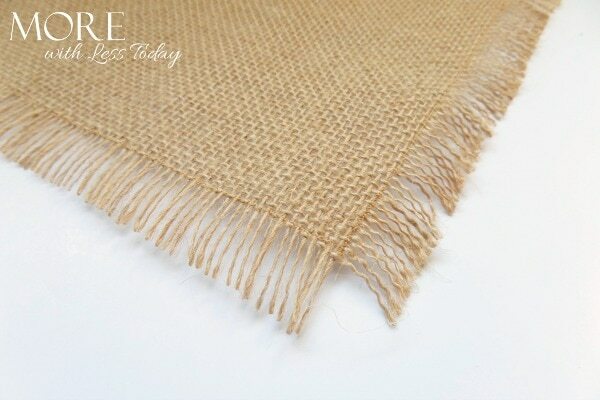 If you use thread approximately the same color as the burlap it will not be seen. 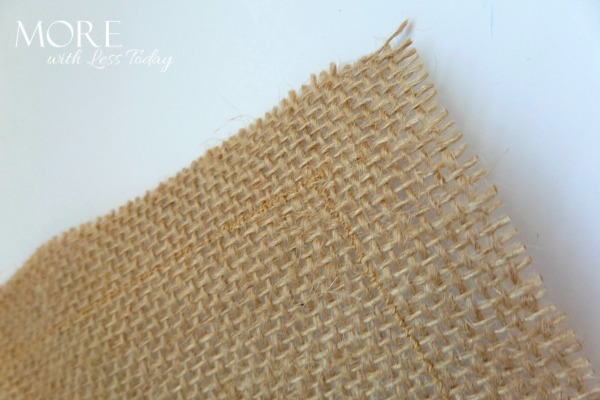 Once the edges are sewn begin pulling the horizontal and vertical pieces of burlap thread out until the edges are frayed back to your stitch. Once the edges have been frayed you will fold one edge up about 2″. 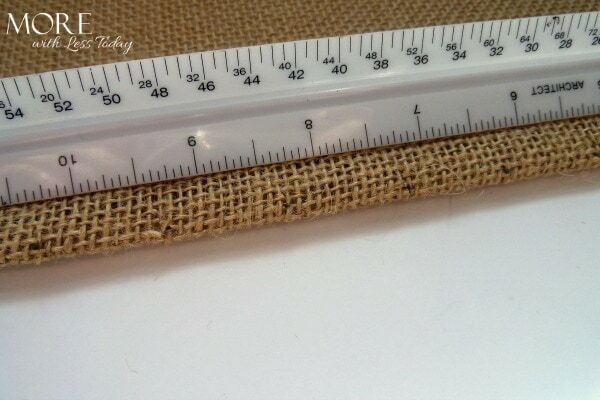 You will then mark the burlap at 1″ increments. This will be where you will cut to feed the ribbon through. Cut at each mark creating a slit just large enough for your ribbon to slip through. Repeat with remaining sides. Next feed the ribbon through the openings you’ve made. The ribbon will create a basket weave look with the burlap. Feed pieces of ribbon through each side. Make sure that the ribbon comes out the top of your placemat at 2 matching corners and to the under side at the other 2 corners. You’ll then tie a bow on the top of the corners opposite each other and a simple knot in the ribbon on the backside. Your placemat is finished and ready to use! 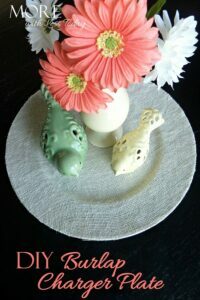 These will be a great addition to your table decor!